For as long as I can remember, I've hated the month of January. After the hustle and bustle and anticipation of the holidays, the month always feels like a let down. Like a sugar crash and a hangover combined. The weather around here has felt like a metaphor for January - dreary and cold, cloudy and rainy. That is, until last weekend, when an blast of warm weather - I'm talking 70-degree temperatures - blessed us. I went from feeling like there was nothing to do, to feeling empowered by endless possibilities. 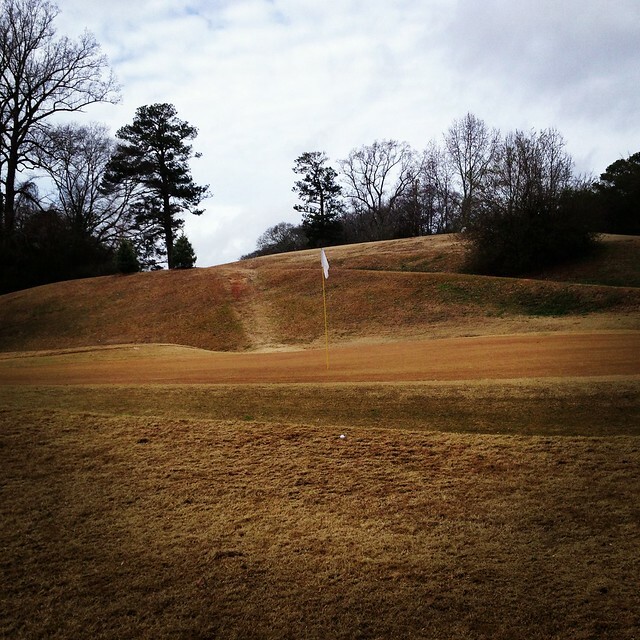 With no plans and nowhere to be, there was time, on a unseasonably warm Saturday, for golf. GOLF?! During what I once considered the worst month of the year?! Even as my golf game fell a part on the back nine, I had to consider that maybe I've been wrong about January. Sure, the anticipation and preparation for the holidays is gone, but so is the stress, the endless commitments and end of the year hooplah. January is like a clean slate - an entire month to unwind, decompress, take a breather. A chance to reinvent ourselves, embrace a routine, and decide how we can make this new year better than the last. Yep. Definitely wrong about January. Having absolutely no plans meant that after our golf game, Jacob and I looked toward Saturday night. You can imagine with my indecisiveness, there was a lot of shrugging shoulders and "I don't knows" being tossed back and forth. He suggested the Emeli Sande concert at the Variety Playhouse - a show he'd talked about several days before. I'd done some research on her when he first mentioned it, and I was surprised that he was so interested - Emeli Sande is a good singer, but her music was nondescript. Not the kind of show I'd want to spend serious money to attend. Lucky for me, the concert was sold out. But I agreed to go to Little 5 Points to see if anyone was selling extras at the door, secretly hoping that no one would. To my delight, in the 20 minutes I stood outside the Variety, not one person walked by. I figured we'd give up and head home, but then Jacob, aka The Ticket Whisperer appeared from parking the car, and within seconds had scored two tickets. Suddenly, my attitude took a sharp turn and I went from being up for whatever to adamantly not wanting to go. I did not choose love. I was a brat. After several minutes of "negotiating," (aka: arguing in the street), I gave in and we went. Within minutes of being there, and for the second time in a day, I realized I was wrong. Yes, you read that correctly - I said I was wrong. Twice. In the same day. 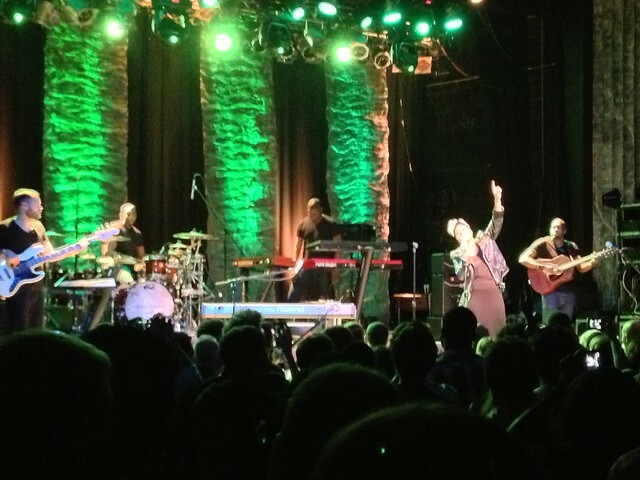 Emeli Sande is energetic, soulful, and so entertaining. Her voice is perfection and she is adorable. Seeing her live gave me chills - a far cry from the nondescript videos I'd watched. Live music has always held a special place in my heart, and last weekend we fell in love all over again. Also, I'm pretty sure that Jacob was the only white, straight man at the concert - an observation I enjoyed almost as much as the concert itself. I was wrong about January and its endless possibilities. 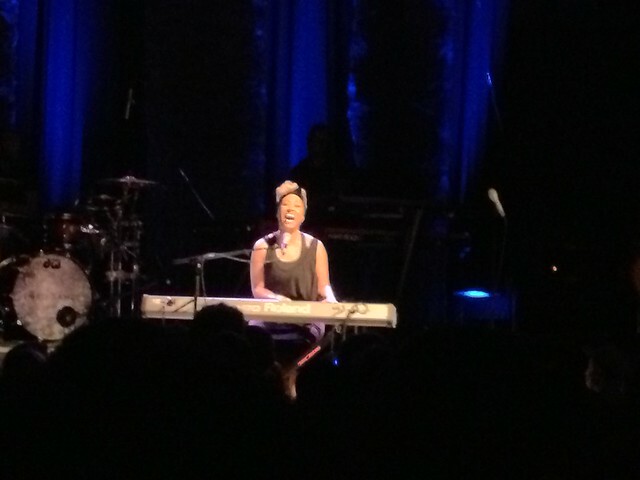 I was wrong about Emeli Sande - she is the real deal. Being wrong never felt so right. Thank you for introducing me to this beautiful music. My 1-year-old daughter and I just had a full-out dance party in the middle of the kitchen. Awesome. I'm kinda in love with Jacob for this music. are you %$! @ kidding me?